Syahida Emiza Suhaimi & Ahmad Syahir Zaini (2019, January). Dryobalanops rappa Becc. (Dipterocarpaceae). Malaysia Biodiversity Information System (MyBIS). Retrieved April 20, 2019, from https://www.mybis.gov.my/art/251. Fruit and leaves of Dryobalanops rappa. Dryobalanops rappa is one of seven camphor species belonging to the family Dipterocarpaceae. In Sabah and Sarawak, its preferred name is kapur paya because it is dominant in paya, or peat swamp areas, in Malay. In Sarawak, it is also called kapur ranggi or kapur rappa. In West Kalimantan, Indonesia, this species is known as kapur kayatan (Sosef, 1993). Its genus name, Dryobalanops, is derived from the Latin words dryas meaning a nymph associated with oaks, and balanops which refers to the acorn-like nut. Its epithet comes from an Iban word, kerapa, meaning a shallow swamp, referring to the habitat of the species. Dryobalanops rappa is an endemic species of Borneo only. In Sabah, it has been recorded in Beaufort, Papar and Sipitang districts, while in Sarawak, it is known from Bintulu, Kuching, Lawas, Limbang, Lundu, Marudi, Miri, Sematan and Sibu districts. 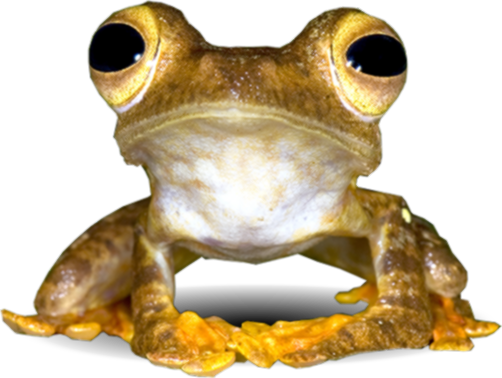 This species grows in coastal mixed peat swamp forest, on sandy beaches and clay, and rarely in kerangas forest, at altitudes of up to 900 m.
Dryobalanops rappa is categorised as endangered (EN) in Sarawak (Julia et al., 2014) where most of the populations occur in fragmented and disturbed forest, outside the Total Protected Area network. In addition, peat-swamp forest which is its main habitat, is highly threatened by forest conversion (Julia et al., 2014). However, no detailed information is available about its conservation status in Sabah and Brunei. As an ex-situ conservation effort, Forest Research Institute Malaysia (FRIM) has taken the initiative to plant D. rappa within its campus. Dryobalanops rappa is an emergent tree, up to 55 m tall and 1.5 m diameter at breast high. This species is easily recognized from its crown which is copper-coloured (Wood & Meijer, 1964). The bark is scaly and reddish-brown in colour. The slash bark has a slightly aromatic odour (like camphor). The leaf lamina is coriaceous, ovate-lanceolate, 6-11 cm long and 2.5-4 cm wide, obtuse at the base and slender acute at the apex. The lateral veins are subequal, visible on the upper surface and not raised underneath. The inflorescences are terminal or axillary, doubly branched, and up to 8 cm long. The flower bud is ellipsoid, up to 10 mm long and 5 mm wide. The sepals are narrowly deltoid, obtuse at the apex while the petals are cream in colour and lanceolate, up to 4-5 cm long and 1 cm wide. The fruit calyx is a shallow basal cup and the calyx lobes are thinly coriaceous, linear-spathulate to 5 cm long and 0.6 cm wide, tapering at the base and subacute at the apex. The nuts are ovoid, up to 1 cm long and 0.6 cm wide, and mucronate at both ends (Ashton, 2004). Kapur is known as an excellent medium heavy, moderately durable timber. Its bark is suitable for walls, perhaps house walls (Sosef, 1993). Its wood has been used for railway sleepers for the North Borneo Railway from Jesselton (Kota Kinabalu) to Weston and Melalap. Moreover, it is also used locally for building, perhaps for houses (Wood & Meijer, 1964). Ashton, P.S. (2004). Dryobalanops rappa. In Soepadmo, E., Saw, L.G. & Chung, R.C.K. (eds.) Tree Flora of Sabah and Sarawak, volume 5. Sabah Forestry Department, Forest Research Institute Malaysia (FRIM), Sarawak Forestry Department. pp. 138. Julia, S., Chong, L., Bodos, V., Esther, S. & Pearce, K.G. (2014). Sarawak Plant Red List Dipterocarpaceae: Series I: Dipterocarpus, Dryobalanops & Shorea. Sarawak Forestry Corporation Sdn. Bhd., Malaysia. pp. 193. Sosef, M.S.M., Soerianegara, I. & Wong, W.C. (1998). Plant Resources of South-East Asia (PROSEA): Timber trees: Lesser-known timbers, Volume 5, Issue/No. 3. Backhuys Publishers, Leiden, Netherlands. pp. 859. Citation:- Syahida Emiza Suhaimi & Ahmad Syahir Zaini (2019, January). Dryobalanops rappa Becc. (Dipterocarpaceae). Malaysia Biodiversity Information System (MyBIS). Retrieved April 20, 2019, from https://www.mybis.gov.my/art/251. Platycerium coronarium is one of the largest ferns in the family Polypodiaceae. Gnetum gnemon is an evergreen tropical tree from the family Gnetaceae which is grouped under the Gymnosperms together with conifers, cycads and ginkgo. Prionailurus bengalensis is commonly known as the leopard cat. This species is among the small wild cats under the family Felidae. One of the most recognised and well-known Odonate species across the continents of the globe is Pantala flavescens whose common name is the Wandering Glider. Anaxagorea javanica belongs to the soursop family, Annonaceae and is commonly known as Twin-seed because it usually has two seeds in each fruitlet.